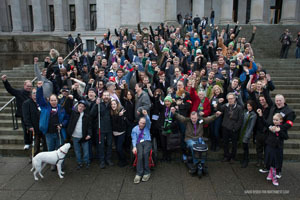 More than 300 medical cannabis patients and advocates converged on the Washington state Capitol late last month for a day of citizen lobbying sponsored by the Washington State Chapter of Americans for Safe Access. Led by ASA’s Executive Director Steph Sherer and Legislative Analyst Kari Boiter, who lives in the state and helped found the chapter, Medical Cannabis Day featured a morning of workshops, a midday legislative briefing and a full afternoon of citizen lobbying in which the assembled advocates visited scores of state elected officials to ensure that patients' voices are at the forefront as state policymakers debate the future of medical cannabis. The briefing for legislators and their staff featured ASA’s Sherer, Neuropathic Pain specialist Dr. Jake Felice, licensed cannabis business co-founder Oscar Velasco from Dockside, union organizer Patrick MacKay from United Food and Commercial Workers, patient caregiver Dale Rogers, and Veterans for Medical Cannabis Access organizer Patrick Seifert. The lobby day generated considerable attention in state media outlets, and a key legislator, Senator Ann Rivers, changed to a more supportive position less than 24 hours later and now reportedly will remove restrictions on sales of dried cannabis flowers from the pending bill she sponsored. The state’s 16-year-old medical program has been under debate since voters there approved a new, parallel system for adult access to cannabis. Regulation of medical distribution that was approved by the legislature in previous years was derailed by threats to elected officials from federal prosecutors in the US Attorney’s office. "Everyone agrees that statewide medical marijuana regulations are needed to preserve patient rights," said Sherer. "But under current proposals, existing medical distribution centers would be phased out in favor of the adult-use marketplace, which is plagued by inconsistent and inadequate supply, as well as unreasonably high taxes." Despite having no state mechanism for licensing, Washington’s medical cannabis businesses contributed more than $14 million to state coffers in Fiscal Year 2014, according to the state Department of Revenue. "Throughout the I-502 implementation process, repeated assurances have been made that medical marijuana will not be negatively impacted and that safe, affordable access remains a priority,” said Sherer. “Now, it's time for policymakers to deliver on that promise." An ailing, elderly patient facing federal trial in Washington State has asked the court to dismiss his case because of the new Congressional measure that bans the Department of Justice (DOJ) from interfering in state medical cannabis programs. 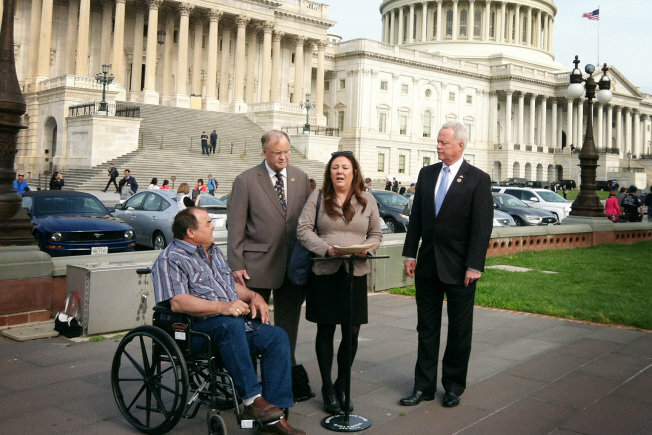 Larry Harvey, 71, is one of the Kettle Falls Five, members of a family from rural northeastern Washington State that have been indicted in a widely watched federal medical marijuana case. The motion filed by his defense attorney asks for either dismissal of his case or an order preventing further prosecution. Harvey suffers from several serious medical conditions and was recently diagnosed with State IV pancreatic cancer, which has metastasized to his liver. Harvey's motion argues that Washington’s medical cannabis law is undermined by discouraging lawful patients from participating in the state program because of the threat of federal prosecution. "Prosecuting persons who may be operating in compliance with state medical marijuana laws prevents states from implementing their own laws," reads the brief written by Harvey's attorney Robert Fischer, which also argues that "federal prosecutions take away Washington's authority to determine for itself whether someone is in compliance with its laws or not." Harvey's motion to dismiss comes just a month after President Obama signed the federal government’s fiscal-year 2015 budget bill, which contains the new limits on federal enforcement. The historic bipartisan amendment sponsored by Representatives Dana Rohrabacher (R, CA) and Sam Farr (D, CA) prohibits DOJ funds from being spent to block implementation of state medical cannabis laws. Federal prosecutions such as that of the Kettle Falls Five run contrary to the intent of Congress. The Kettle Falls Five are Harvey; his wife Rhonda Firestack-Harvey, 56; her son Rolland Gregg, 33; daughter-in-law Michelle Gregg, 36; and friend of the family Jason Zucker, 39. All are qualified patients with serious medical conditions. In August 2012, the Drug Enforcement Administration (DEA) raided the rural property of Harvey and his wife and seized 44 premature marijuana plants. Federal prosecutors charged the five with conspiracy to manufacture and distribute marijuana, manufacturing and distribution of marijuana, maintaining a drug-involved premises, and possession of a firearm in furtherance of a drug trafficking crime. Federal agents confiscated the family's 2007 Saturn, $700 in cash, their legally owned firearms, and other personal property. Each defendant faces a mandatory minimum sentence of 10 years in prison if convicted. ASA brought Harvey to DC twice last year to lobby in support of the Congressional amendment that is the basis for his motion to dismiss. ASA also held a DC lobby day in April focused on the measure's passage. A hearing on Harvey’s motion to dismiss is scheduled for February 12 at 10am in U.S. District Court in Spokane, Washington, before Judge Thomas O. Rice. Trial is currently set for February 23. A professional organization representing more than 62,000 pediatricians in the US last month endorsed the use of cannabis for some seriously ill children and called on the federal government to conduct more research and change the classification of the drug to recognize its medical uses. The American Academy of Pediatrics (AAP) issued the new policy statement in its journal Pediatrics. The group reiterated its opposition to outright legalization and said that cannabis should undergo FDA clinical trials but noted that “some children who may benefit from cannabinoids cannot wait for a meticulous and lengthy research process.” For that reason, “the Academy recognizes some exceptions should be made for compassionate use in children." The AAP also recommends that cannabis be changed from a Schedule 1 controlled substance -- defined as having "no currently accepted medical use in the United States" -- to Schedule II, where it would be classified with drugs such as oxycodone that may be used in treatment under a doctor’s supervision. That change, the AAP notes, would enable more research and development of pharmaceutical cannabinoids. An unexpected turnabout in Illinois late last month saw Gov. Bruce Rauner issue more than 70 state permits to cultivate and distribute medical cannabis to registered patients. The move came only a week after the governor said he had halted the granting of any licenses until a legal review was complete of the application process begun under his predecessor, Pat Quinn. The change of heart came after an internal review and consultation with state Attorney General Lisa Madigan, according to the governor’s office. Eighteen cultivation centers were approved to begin growing cannabis; three other applicants are undergoing additional review. Distribution permits were issued for 53 companies, with five more pending further review. To gain final approval, applicants must to pay state fees, register all employees and show they have sufficient operating funds. It will still be several months before registered patients will be able to legally obtain medicine. Many of the successful applicants in Illinois are former state officials. A manager of one of the cultivation companies, Ieso LLC, is a former director of the Illinois Department of Agriculture. Green Thumb Industries, awarded three cultivation licenses as well as one to operate a dispensary, has a former state representative who is a close ally of the House Speaker as a consultant and lobbyist. Long a leading center for medical cannabis research, Israel this month is the site of an investor’s conference, CannaTech Israel. Those in attendance will include Dr. Alan Shackelford, whose pediatric patient Charlotte Figi is the namesake for the cannabis strain Charlotte’s Web that garnered intense media attention after treatment with it led to a dramatic improvement in her severe seizure condition. Israeli medical cannabis producers have bred a similar strain that is rich in the non-psychoactive cannabinoid called cannabidiol or CBD and low in the psychoactive one, THC. Like Charlotte’s Web, the Israeli strain does not produce intoxication. It is currently available only in Israel and only as an oral medication dubbed “Rafael,” after the healing angel. But international health officials as well as investors from Australia, the US and elsewhere are eager for the chance to export it from Israel. The medical cannabis advisor for the country’s Health Ministry says agriculture officials favor making Israeli strains available for export, but officials in other branches of the government oppose it. The Czech Republic’s health minister was unsuccessful last year in an attempt to arrange for the import of Israeli cannabis. Among the current international ventures based in Israel is a well-funded Australian company, PhytoTech Medical, which is working with researchers at Jerusalem’s Hebrew University to develop controlled-dose cannabis pills. A large cultivation operation in northern California will break ground this month, the first on land belonging to a Native American tribe. The project follows a policy change by the Department of Justice that says federal authorities will not interfere with cannabis cultivation or distribution on native lands, so long as it satisfies federal enforcement concerns. The Pomo Nation in Mendocino County, part of what is known as California’s Green Triangle, has entered into an agreement with an outside investor, FoxBarry Farms, which has worked with several tribes on a variety of economic development projects. FoxBarry will develop greenhouses for the tribe and manage distribution of the medical cannabis in California. Plans include 90,000 square feet of greenhouses and 20,000 square feet of indoor cultivation, to be developed with the help of consultants from United Cannabis in Colorado. FoxBarry is reportedly developing three medical cannabis operations on different tribal lands in California. According to a company spokesperson, another tribe will be announcing its plans in a month or two. 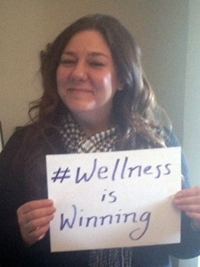 Americans for Safe Access announced its third annual Unity Conference, "Wellness is Winning: Advancing Evidence Based Medical Cannabis Policy," with an ad in the USA Today Super Bowl Preview. The Washington, D.C. conference will highlight medical and legal experts, policymakers, as well as workshops and panels focusing on research, strategic planning, and skills building. On Tuesday, March 31, ASA will host a press conference and Congressional lobbying visits by hundreds of patient advocates. The conference opens Saturday, March 28, with a keynote address by researcher Dr. Ethan Russo, a former adviser to GW Pharmaceuticals, followed by panel discussions and stakeholder breakout sessions. Sunday, March 29, will feature experts discussing medical cannabis research, the state of policy reform in the U.S., and the harmonization of regulatory approaches. Monday, March 30, is dedicated to educational and skills building workshops and an awards dinner. Tuesday, March 31 will be a Lobby Day Training in the morning, followed by a press conference at 11am, and Congressional visits that afternoon with hundreds of conference participants advancing federal medical marijuana policy reform. Current conference sponsors include the American Herbal Products Association, Mary's Medicinals, and OrganiCann. You + a Pic = A chance To Win! Simply snap a photo of yourself with the hashtag #WellnessIsWinning, tag it with #MMJWeekUnity15 on Instagram, Twitter or upload directly on our Facebook page. Winners will be announced on February 20, 2015. Winners will be determined by the number of votes on Facebook. How to Enter: Upload a photo on ASA's Facebook Page under #MMJWeekUnity15 or submit one via Twitter or Instagram by using the hashtag #MMJWeekUnity15. Prizes include: (1) a Free trip to the 2015 National Medical Cannabis Unity Conference in Washington, D.C. including registration, hotel and travel; (2) ASA Swag Bag with ASA Vape Pen, ASA T-shirt, ASA Water Bottle & ASA Tote Bag; (3) 3. ASA T-shirt, ASA Banner Pen & ASA Water Bottle. How to Vote: Go to ASA’s Facebook Page. Under #MMJWeekUnity15 click on 'Vote' and then select your favorite photo. If you submit a photo, encourage your friends and family to vote for your photo by sharing your photo contest entry on Facebook.